In a world filled with oversized watches there is a need for a slim, thin & classic watch. This is a great watch for everyday use. It looks good and is eco friendly! 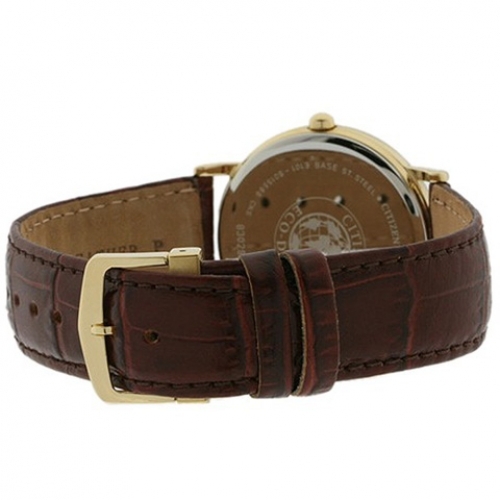 This watch is the very essence of style, it is a classic dress watch with polished gold tone stainless steel and base metal case and a good old genuine leather strap and to top it of the bezel is scratch resistant mineral crystal. 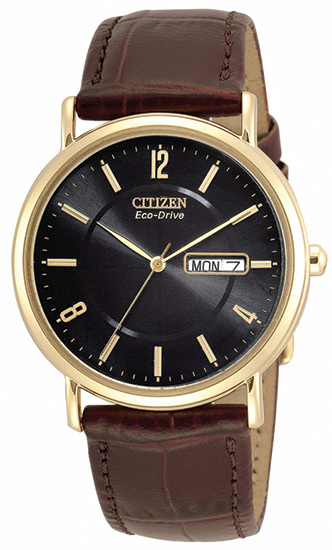 It has the legendary Eco drive movement packed into a water resistant case. It is only 36mm wide by 8mm thick and water resistant. Its black dial is elegant and set of by its gold hands and numbers. This is a must have for the Distinguishable Male.